Do you wish you could be more loving in your relationships? Do you wonder what it would take to feel lighter and happier on a daily basis? Find out how to use the Choose Again Six Steps to Freedom to achieve your goals. You’ll learn how to uncover the fearful self you made up, you’ll experience the loving Self that you are and you’ll learn how to make the shift from one to the other using the Choose Again Six Steps to Freedom. The Choose Again Six-Step Process is a tried and trusted method of returning to Peace at any time, and through it you will learn how to uncover the fearful self you made up, you’ll experience the loving Self that you are and you’ll learn how to make the shift from one to the other. Learn what real Love feels like. "Love is what we were born with, Fear is what we learned here"
From Fear to Love in Six Steps will show you how to recover a true sense of the Love that you are, and have always been, by identifying and releasing the fear that has masked it. You will find a place of Peace inside you, and learn the tools to take residence there at any moment. The Six Steps is a gentle but impactful tool to guide you toward a better understanding of who you really are, and relinquish who you are not. At the end of this workshop, you will have learned what gets in the way of you experiencing the Love that you are. Saskia has been involved in Choose Again since 2006 when she helped to open the Residential Centre in Costa Rica and develop the therapeutic program. Since then, she has lead workshops and circles and provided one-on-one counselling and training in the Six Steps to Freedom process. She divides her time between Vancouver and Costa Rica. Amy became involved with Choose Again in 2002 sparked by a desire to be pro-active in seeking deeper happiness in her life. The results were immediate as Amy found that her power to experience happiness was limited ONLY by beliefs she held about herself. As she quickly gathered tools for learning how to identify and correct beliefs within herself, she has become a skilled teacher in helping others find the light and joy within themselves. 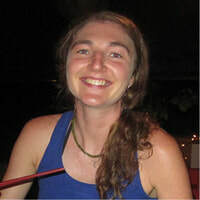 Amy spent two years working at Choose Again’s residential treatment facility in Costa Rica and has recently moved back to join the Vancouver team. 4438 West 5th Avenue, Vancouver, BC.